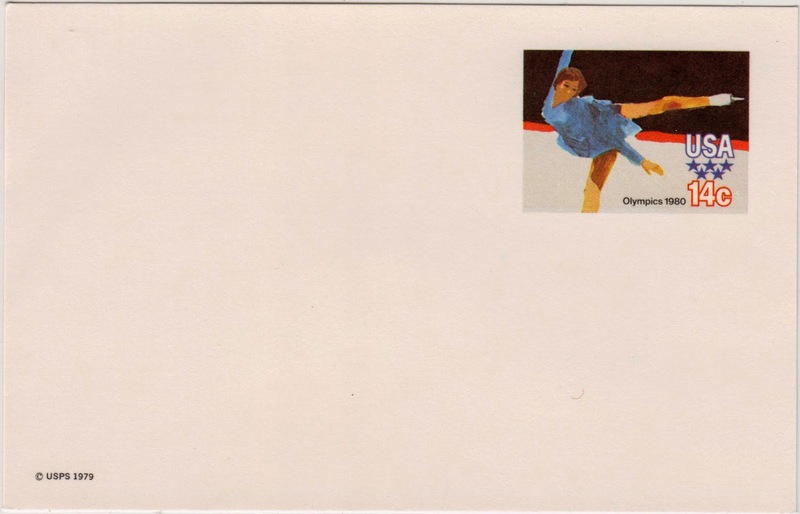 Outgoing postcard US-2814046 to the United Kingdom was a 14-cent stamped postal postcard, issued by USPS, for the 13th Winter Olympic Games in Lake Placid, NY from February 13 to February 24, 1980. A FDC on sale at SportStamps shows the first-day-of-issue date as January 15, 1980. According to Wikepedia and Akdart.COM, the domestic postcard rate was 10 cents between May 29, 1978 and March 22, 1981. Therefore, I am curious why the postage on the card was 14 cents rather than 10 cents. 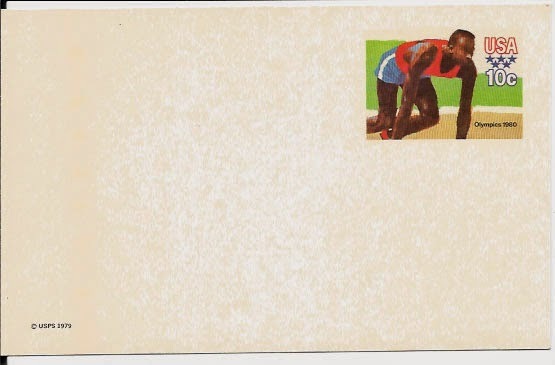 Yet, there was indeed a 10-cent stamped postal postcard for the 22nd Summer Olympic Games in Moscow during the same period. If you know the reason, please leave your comments below.